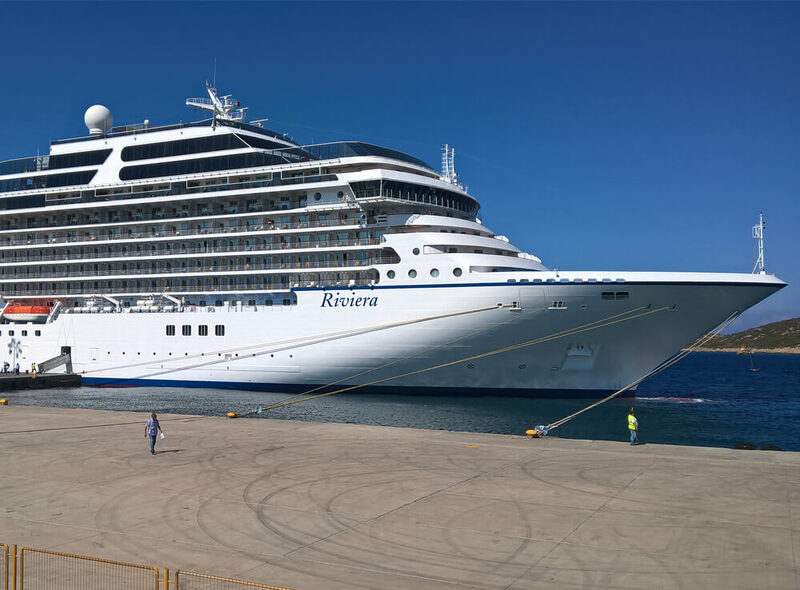 Here you will find tour descriptions and programs offered often by cruise ships and companies on the island Crete. 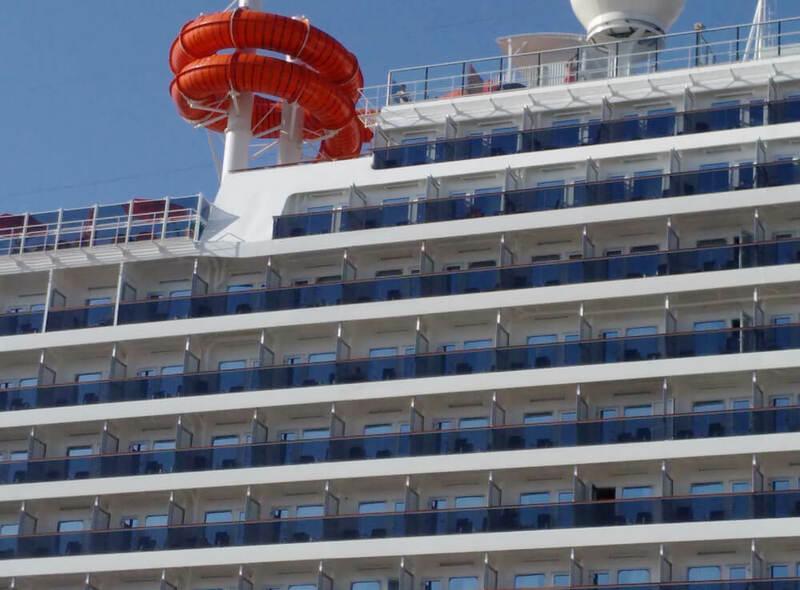 You read the tours and get an idea, but of course you can contact us, in order to plan the ideal tour for you and your family, according to your needs and wishes. The tours will be conducted by us mainly, and a small group of selected professional licensed guides with experience, working on the island Crete. Contact us and let us know what you have in mind. 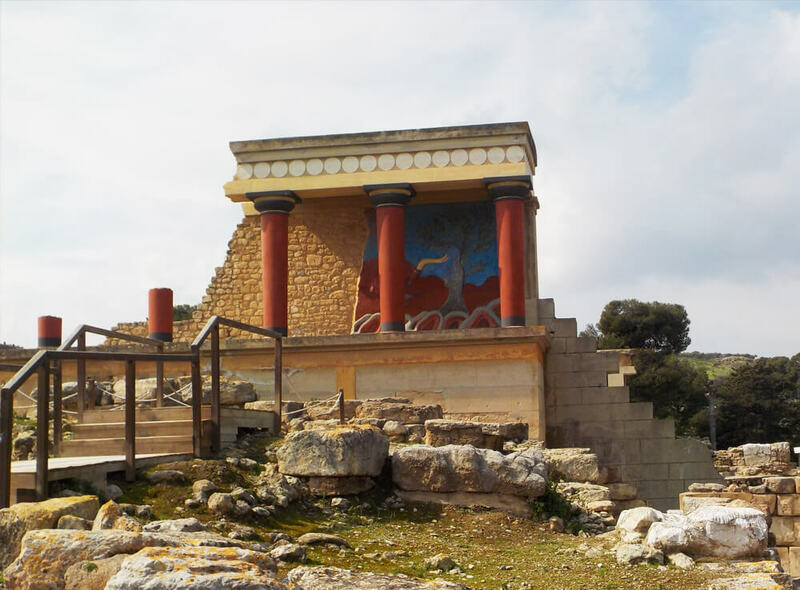 Starting from the port of Heraklion, we will start the tour with by visiting the palace of Knossos, which is the most impressive and largest palace on Crete, dating back to the Minoan Era. Famous from Greek mythology as the capital of Minoan culture and seat of the mighty King Minos, it’s linked to countless legends, including the ‘Labyrinth of the Minotaur’. Step back in time and let us unveil the secrets of the Minoan civilization and tell you about history and the excavations that took place here. Then it is off to the charming village of Kritsa, close to Agios Nikolaos, with many local handicraft shops and art stores to explore. An interesting stop to buy souvenirs for your friends back home. Afterwards, we are driving to the Eastern part of Crete, where you will then enjoy a typical Greek lunch at a tavern in the seaside village Elounda. 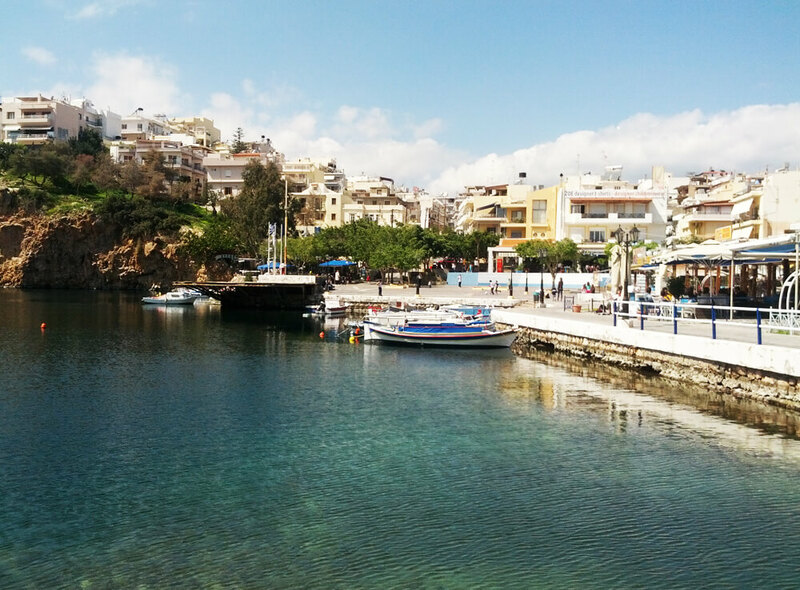 Continue to the city of Agios Nikolaos. You will be able to stroll along the pretty streets by the sea, the bottomless lake Voulismeni, and the centre with its infinity of little shops where you can find any kind of souvenirs, jewelry, clothing etc. For the ones, who just wish to enjoy the scenery and relax, numerous coffee shops are located directly at the waterfront or around the small lake, offering a great spot for some leisure time. Your tour starts with a visit of the palace of legendary King Minos at Knossos, the most impressive and best known palace of the Minoan civilization. Famous from Greek Mythology as the capital of the Minoan culture, Knossos is inextricably linked to many thrilling myths and legends like the ‘Labyrinth of the Minotaur’. During your visit through the extensive ruins which are partly restored in order to give an idea of its original splendor, your guide will narrate to you the exciting history of this ancient civilization. Next, you’ll step back in time and experience the magic of a bygone era. The traditional Cretan village of Arolithos is set in the most breathtaking location, amongst the rugged grandeur of the wild mountains; a village not to be missed. With its cobbled streets and Cretan architecture, recently built using traditional construction techniques and materials, you’ll find genuine craftsmen and Cretan artisans, such as the ironsmith, the potter, the weavers. Enjoy a guided tour through the village and take the opportunity to visit the small folklore museum with its informative collection of pottery and fine crafts. Furthermore there are several shops containing a variety of beautiful traditional items. Before your departure from Arolithos, you will be offered the traditional Raki accompanied by nuts and local raisins. From the port of Heraklion your tour will start towards the Plateau of Lassithi, a panoramic drive showing you a totally different side of Crete compared to the seaside city of Heraklion. Enjoy the Cretan landscape with the massive mountain chains surrounding the Plateau with the Venetian characteristic windmills and fields of agriculture. Drive to the village Psychron, and visit the cave, where according to the myths, was the birthplace of Zeus. After the visit of the cave, a sort stop a ceramic workshop, close by, to admire the local experts and see how easy it is for them to make beautiful pots and vessels, that even nowadays the Cretan use. Drive around the plateau and reach a local tavern for lunch. After lunch you will drive through Krasi village to see the huge plane tree and we will drive slowly through Malia, back to the port. Enjoy a pleasant drive through the traditional Cretan landscape to the village of Peza, one of the most significant wine growing areas since Minoan times that today produce the 70% of the Cretan wines. You are invited to delve into the vineyards and to sample the local products while gaining an insight view into the production of Cretan olive oil and soap, at a well-organized winery. Here you will find wines of the Lyrarakis family, one of the best on Crete and Greece, known also for the awards that they win every year. On your way to Archanes, the characteristic village has won a European acclaim for its attractive restoration. It is also known for the excavation led by Sakellarakis and his wife Efi Sapouna at Tourkogeitonia , where they discovered a minoan villa , The surrounding landscape presents an infinity of vineyards, famous for the rich red wines of the Archanes appellation. The village is an ideal spot to indulge in the aromas, sights and sounds of the Cretan landscape. Streets have been newly stone-paved, there are more splendid displays of blooming flowers, fruit trees and plants in the yards, terraces and balconies of the houses. Enjoy a refreshment with a snack in a traditional taverna before returning to the ship. 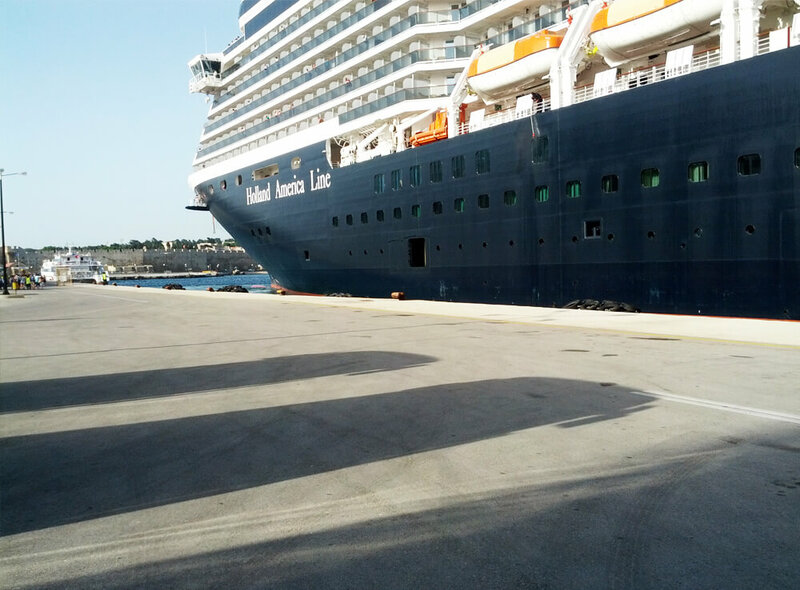 Leaving the port of Heraklion you’ll drive to the Monastery of Arkadi, the island’s most famous Monastery. Built during the last Venetian period, it consists of a large set of fortress-like buildings. The impressive church standing in the middle of the court with its two naves is dedicated to Saint Constantine and Saint Helen, and to Our Lord. The history of the monastery goes back to Byzantine times, when a monk, possibly named Arkadios, founded the monastery which in turn was named after him. The monastery proved to be not only a remarkable cultural centre, but also played an all-important role in the fight against the Turkish bound. We continue our tour to Rethymnon. Rethymnon itself began a period of growth when the Venetian conquerors of the island decided to put an intermediate commercial station between Heraklion and Chania, acquiring its own bishop and nobility in the process. Today’s old town (palia poli) is almost entirely built by Venetians. It is one of the best preserved old towns in Crete. The town still maintains its old aristocratic appearance, with its buildings dating from the 16th century, arched doorways, stone staircases, Byzantine and Hellenic-Roman remains, small Venetian harbor and narrow streets. The Venetian Loggia today houses the information office of the ministry of culture. The Venetian castle called the Fortezza, is one of the best preserved castles in Crete. Other monuments include the Neratze mosque (the Municipal Odeon arts centre), the Great Gate (megaliporta, PortaGuora), the Piazza Rimondi (Rimondi square) and the Venetian Loggia. After a walking tour in the old town you’ll be given free time to explore this beautiful city on your own before boarding your coaches for the return journey to Heraklion port.